Since 2008, people have been celebrating historic places that are meaningful to them with photos declaring "This Place Matters." We've reached a full decade of people sharing places—the historic, the restored, the quirky, and more—that matter to them. Now, as we close out 2018, we're approaching the 100,000th #ThisPlaceMatters photo on Instagram. Will yours be the milestone post? 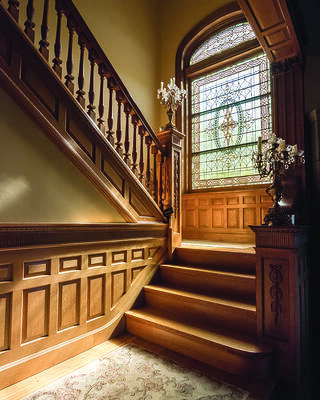 Below, we've rounded up the back pages of Preservation magazine, which has been sharing some of the best #ThisPlaceMatters photos (and the stories behind them) since 2017. Take a look, and don't forget to share your own photos with us on Instagram before the new year! I love New Orleans. I’ve lived here for 13 years, and the architecture is so beautiful. No matter where I go I’m taking pictures because everything still catches my eye. This church, St. Stephen Catholic Church, is right next to my son’s school. I was waiting for him and went over to take some photos. The church was built in 1888, and it’s the second largest Catholic church in the city. It’s mostly brick and stone; this is the only wooden part I could see on the exterior. 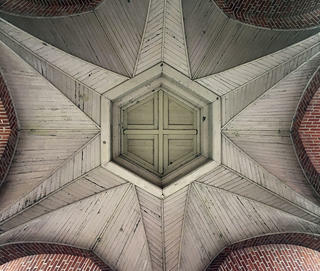 I was standing outside, in the main entrance, and I just thought the ceiling looked really cool. From the Winter 2017 issue. When I have a free weekend, I walk through a part of the city I haven’t been to and take photos of buildings I like. You really discover gems by walking around parts of town you don’t pass by often. 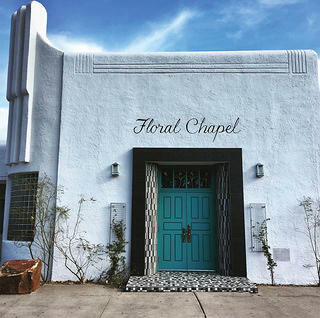 I was drawn to this chapel first by that turquoise door, and second because of its Art Deco architecture. The chapel is part of a funeral home that was built in 1946 by the Salazar family. Albuquerque is a Route 66 town, so it grew up in the 1920s, ’30s and ’40s. There are some great Art Deco buildings here from those years, so the chapel fits in with that aesthetic. From the Spring 2017 issue. Posted on Instagram by Tom Brinkerhoff (@brokeitoff). Having grown up as a skateboarder, I would see architecture as spaces you could perform tricks on. In my late teenage years, I started working on old houses with my dad, a carpenter, and developed this passion for preserving old homes. I created my own hashtag, #architecturalhousestylesproject, so I can see the different kinds of buildings I’ve been to. 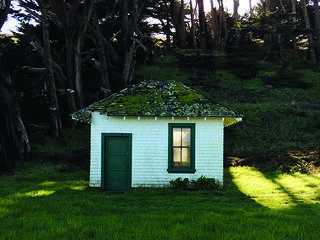 I found this pumphouse during a hike at Point Reyes. The United States Coast Guard built it in 1927 for the Point Reyes Lifeboat Station, which was built the same year for a small crew who would rescue seamen after shipwrecks. It’s a really rugged coast; the waves are so turbulent. Photo posted on Instagram by Nick Leonard (@nickleonardphoto). I found Polaroid cameras at a thrift store near Las Vegas when I was a teenager. I wanted to test them out on subjects other than people, so I started exploring Main Street and fell in love with what I saw. I map out road trips that will take me to places I can photograph. I don’t shoot and go—I like to talk to people and find out as much as I can about the structures. 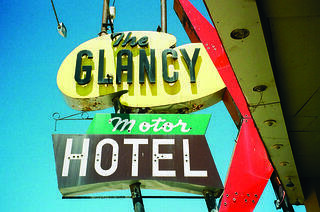 On a road trip from Dallas to Denver, I stayed at The Glancy Motel, and that’s when I took this photograph with my Olympus 35mm film camera. Shooting historic places (especially signs) with an old medium is the perfect blend to me. The way the photos turn out looks so right. From the Fall 2017 issue. I’m interested in the built environment—the older the better—because of the intentionality behind each place. People made a choice at some point to say, “This is going to be built, and it will be remembered for future generations.” I like to go back and research a building [I’ve photographed] to piece together its story. The Wiedemann Hill Mansion was designed by Cincinnati’s premier architect [Samuel Hannaford] for a man who owned a brewery, and thankfully it’s been preserved. It’s used as a private home and as a venue for weddings. The woman who lives there let me in that afternoon, and I couldn’t take my eyes off the staircase. I was there for a professional shoot, but my first order of business was to get the staircase before anything else. From the Winter 2018 issue. When my husband has a three-day weekend, we jump on a plane and travel. I’ll go just about anywhere to check out a town or city. It’s fun to see their architectural pasts, to see an old building and know it has a storied history. I’d been to Chicago on business, but this was the first time I had an entire weekend just to explore all these great buildings. It’s interesting to think of a different era, when department stores were exciting. Marshall Field’s is so beautiful, and you don’t see that anymore. It’s a reminder of when people cared about artistry and these details. The way this very Victorian-looking clock contrasts with the modern buildings in the background is striking. 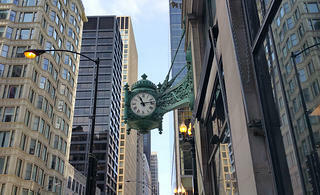 Though Marshall Field’s is long gone, here’s a piece that remains. From the Spring 2018 issue. I’ve been taking photos for many years, mostly of buildings, and usually when I’m on tour [most recently as a member of the alt-rock bands Paramount Styles and Bellini]. I had seen the Citizens Bank Tower [and the adjacent Gold Dome building, also built for Citizens State Bank] during a photo shoot in Oklahoma City, but didn’t have time to explore it. I took a day to go back. It’s hard not to be surprised by the tower. I’m drawn to anything that looks unusual, and the bank tower is a geometric structure that’s different from everything around it. It has interesting machinery with the sun shades. You don’t realize they’re there at first. 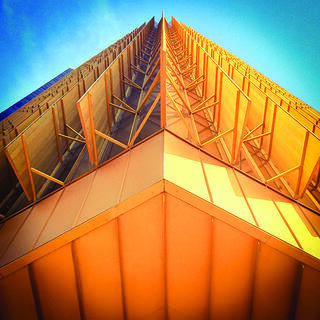 The architect, Robert Roloff, was influenced by Frank Lloyd Wright’s Price Tower in Bartlesville, Oklahoma. It’s like a spiderweb of buildings, architects, and movements that are related. From the Summer 2018 issue. I was just driving, and I saw there was a sign on the highway that said there was a historic school. The school was just a mile from the main highway. 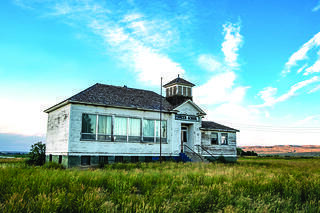 It’s all farmland around the building—there’s not a lot there. It’s a very small community. I have a love for architecture that goes way, way, way back. My passion in [photographing buildings] is the historic renovation and replication. I’m a door hardware manufacturer so I do handles, knobs, hinges—all that type of stuff. I’ve [worked on] many state capitols and customs houses, as well as places in D.C. I love old buildings. They make great subjects to photograph. From the Fall 2018 issue.